For many parents, the birth of their child does not play out as they had imagined it would. When complications arise and babies are born prematurely, those who are in need of more in-depth care than is available in the regular hospital nursery are admitted to the NICU. The NICU, or neonatal intensive care unit, can certainly be a very alarming place with all the beeping monitors and the hustle and bustle of the hospital staff moving about. When parents are faced with the news that their newborn baby will be spending his first days in the NICU, they are often overwhelmed with a variety of emotions. Familiarizing yourself with the way things work in the NICU can help lessen your fears so that you can direct your focus towards helping your baby thrive. NICU babies require constant monitoring and care. Although you will not be able to hold your baby and bond with him in the privacy of your own room, parents can still spend quality time and bond with their baby in the NICU. 1. Learn as much about your baby’s medical condition as possible. Some premature babies will just need more time for their lungs to mature, while others may suffer from more serious complications. The more that you know and understand about what your baby needs, the better you will be able to ensure he is receiving the treatment and care that is best for him. 2. Strive to set up a good relationship with the staff that will be attending to your baby while he is in the NICU. NICU’s are designed to allow parents as much visitation time as possible. If this is your first baby, you will likely have more time to spend with him than parents who have other children at home to care for. If you have other children at home, it can be overwhelming to try to care for them while making trips back and forth to the hospital. Visit the hospital as often as possible, but more importantly, make the most of your time while you are there with him. 1. Arrange for a sitter to care for younger children if there are any. Young siblings are often not allowed in the NICU. Call on family and friends whenever possible. 2. Utilize the cots or recliners that some NICU’s offer to parents. Being able to room in with your baby can help with the bonding process. 3. Inquire about any special housing charities that may be located nearby and use them if available. It is normal for you to be nervous when your baby is in the NICU. Try to put aside all of your worries and fears so that you can focus on your baby. Stress and fear are negative emotions that will prevent you from bonding with your baby. He needs you during this difficult time, and he will have to draw on your strength to get through his ordeal. Keep your thoughts and emotions positive and focus on taking your baby home with you as soon as possible. 1. 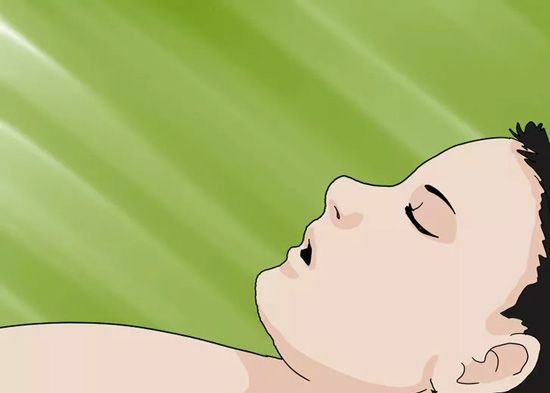 Practice some deep breathing techniques. This can be a helpful method to assist you in feeling a bit more relaxed. 2. Tune into your baby so that you can relax easier. 3. Take this time to enjoy the moments spent with your baby. When you are with your baby, do not get distracted by anything else. 4. Make eye to eye contact with your baby whenever possible. Chances are that your NICU baby will be sleeping most of the time. 1. Pay attention to the way she reacts when touched. 2. Notice baby’s reaction to your voice when you speak gently or softly sing. 3. Pay attention to what catches your baby’s interests. 4. Protect your baby from becoming over stimulated.